ONGC Videsh Ltd. is interested in acquiring strategic equity stakes in Russian government-owned companies such as OAO Rosneft and JSC Zarubezhneft. ONGC Videsh Ltd (OVL), the overseas arm of state-run Oil and Natural Gas Corp. Ltd, is interested in acquiring strategic equity stakes in Russian government-owned companies such as OAO Rosneft, Russia's largest crude oil producer, and JSC Zarubezhneft, livemint.com reported. "There was a thinking to invest in it. We will consult the government. We need assets more than getting shares and dividends," said an OVL executive, who did not want to be identified, in an interview to livemint.com. "We have told them (Russians) that we can invest if we can have some participation in good assets." According to livemint.com, India believes that, unlike in Africa, it has a strategic advantage in Russia over China, its main rival for overseas oil and gas assets. Relying on its historical association with Russia, the country signed a comprehensive agreement on cooperation in the energy sector during Russian President Dmitry Medvedev's visit to India last month. Questions emailed to Rosneft and Zarubezhneft on 12 January remained unanswered. OVL was in talks with Rosneft in exploring the Yurubcheno-Tokhomskoye hydrocarbon field and the 20 million tonne (mt) Primorsk refinery and petrochemical complex to be set up in the far east of Russia, livemint.com reported on 5 January. "The Russian government has decided to make disinvestments in major Russian government-owned companies like Rosneft and Zarubezhneft. There are talks of diluting the provisions of the law on foreign investments," according to documents reviewed by livemint.com. According to livemint.com, the Russian government holds a 75.16% stake in Rosneft, which has proven hydrocarbon reserves of 22.9 billion barrels of oil and oil equivalent. Zarubezhneft has an overseas focus and aims to produce 2 mt of oil in 2011. 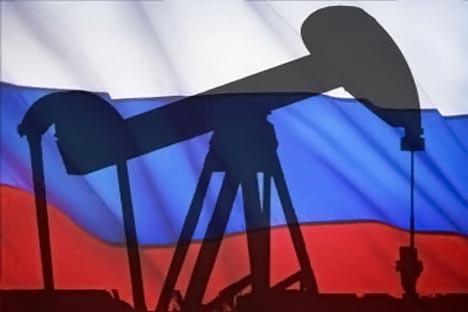 Russia produces 9.93 million barrels per day of oil and 546.8 billion cu. m of gas. It has proven oil and gas reserves of 79 billion barrels and 47.57 trillion cu. m, respectively. With Russian companies acquiring licences for the best hydrocarbon blocks, no Indian firm can secure assets there without the active support of the Russian and Indian governments. "Historically, the partnership has been built at the asset level and not at strategic cross-holdings in national oil companies," said Gokul Chaudhri, partner at audit and consulting firm BMR Advisors, to livemint.com. "This could be a precursor to cross-holdings being created between the national oil companies." In an indication of the way forward in the Russian energy play, BP Plc and Rosneft announced on 14th of Jan a $7.8 billion ('35,490 crore) deal about a strategic equity-linked partnership. The deal involves a share swap and is aimed towards the exploration of the Russian Arctic continental shelf, livemint.com reported. "Rosneft will hold 5% of BP's ordinary voting shares in exchange for approximately 9.5% of Rosneft's shares," the Russian firm said in a statement. According to livemint.com, India, which is heavily dependent on oil imports, has been scouting for new energy assets to meet growing demand. The country consumes 144 mt of oil a year, with domestic production accounting for only 34 mt. Indian investments in Russia, mainly in the hydrocarbon sector, total $4.25 billion. They include a 20% stake in the Sakhalin-I hydrocarbon block through OVL and the 2008 buyout of the UK's Imperial Energy, which has operations in Russia, livemint.com said. In December, OVL had signed an agreement with Russian conglomerate Sistema JSFC that may involve the merger of Sistema's JSC Bashneft and OAO RussNeft with Imperial Energy, with OVL getting a 25% stake in the merged entity. OVL may also get a stake in the Trebs and Titov oil fields in the Arctic.